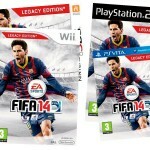 You are readingDisney’s Epic Mickey Collector’s Edition is, well… Epic! 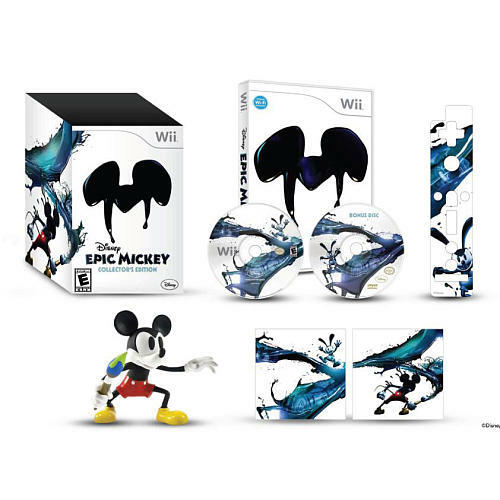 Disney’s Epic Mickey Collector’s Edition is, well… Epic! Brand spanking information about the collector’s edition to Disney’s Epic Mickey has finally been revealed thanks to Amazon, and for those of us (including me) impatiently waiting for the Nintendo Wii exclusive game to drop next month, it’s a glorious sight for sore eyes. Having grown up with Disney’s iconic red short-shorts wearing mouse, Mickey Mouse, I’ve been pretty hyped for November 30th (next month), when Disney’s Epic Mickey hits store shelves. 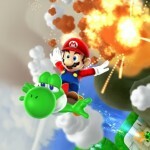 I was especially enamored with the 3D platform game when Warren Specter, System Shock game creator and now lead game designer for Epic Mickey, demoed the game at this year’s Nintendo Press Conference at E3. The game play is pretty unique and a bit different from your standard bop-on-enemies-head platformer, in where you have a magical paint brush that allows Mickey to either create or erase environmental elements. Say if there is a river you need to cross, but no bridge insight in order to cross it – well, with your magic paint brush, you can create one with a few simple swipes. You can also do the same trick to friends and foes along your “epic” journey, making for some very interesting, and funny, game world reactions. Speaking of, the world in Epic Mickey, which is set amongst several locations inspired by Disney’s long lost relics, is truly beautiful. The tone of the game might have a more shadowy grim presence due to the above mentioned setting, leading to more darker colors used, it still is a remarkably conceptualized and presented world. 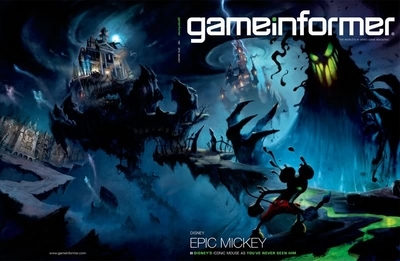 In fact, I remember seeing the GameInformer cover (above) that officially revealed Epic Mickey; a two page cover spread that showed Mickey staring down an ink-blot-ish world, both familiar and eerily new. Geeze, what a pretty sweet looking magazine cover. This leads us to the Disney’s Epic Mickey Collector’s Edition, and it’s sweet looking extras that will make any curmudgeon of a gamer to jump for joy. Besides the game of course, lucky buyers of the collector’s edition will receive a moderately hefty box of cool extras – most notably an exclusive Epic Mickey Figure. Specifically it’s an “epic” looking 5 inch collectible vinyl figure of Mickey bravely holding his trusty paint brush. Really, with that little neat cherry-on-top of a pack-in alone, I would have been pleased as a fat kid in a candy store, but awesomely enough there’s more. 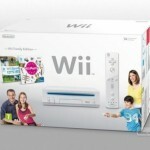 Also included is a special Epic Mickey Wii console and Wii Remote cover, and lastly, a bonus DVD with behind the scenes footage with other media features to boot. Right now the listing has the collectors edition going for $64.99, not bad for what is bundled in with this already stellar looking game. 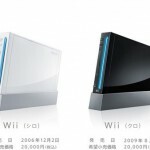 Don’t forget to also check out other latest Nintendo news, including hot news about the Nintendo 3DS and that all-in-one Wii Remote plus Wii Motion Plus.